A trained painter, Hilaire Balu Kuyangiko (born in 1992) lives and works in Kinshasa, Democratic Republic of the Congo. Balu completed a degree in Fine Art at the Academy of Fine Arts in Kinshasa and collaborates with Kin Art Studio (KAS) in Kinshasa. Following his graduation from art school, in 2016 Balu immersed himself in traditional woodcarving techniques used in the sculpting of traditional ancestral figures. His multidisciplinary practice is based on the contemporary re-appropriation of the philosophy and aesthetics of Kongo ancestral myths, that intersect with popular culture, the symbolic language of contemporary power, and the history of Western art. During his residency in Geneva, Balu aims to engage with 18th and 19th century works of art from the European canon in relation to histories of violence in the DRC through performance, painting, video and photography. “My candidacy is formulated in order to widen and cross the crossing of the imaginary while addressing the themes of transculturality, globalization, the human condition and cultural identity. 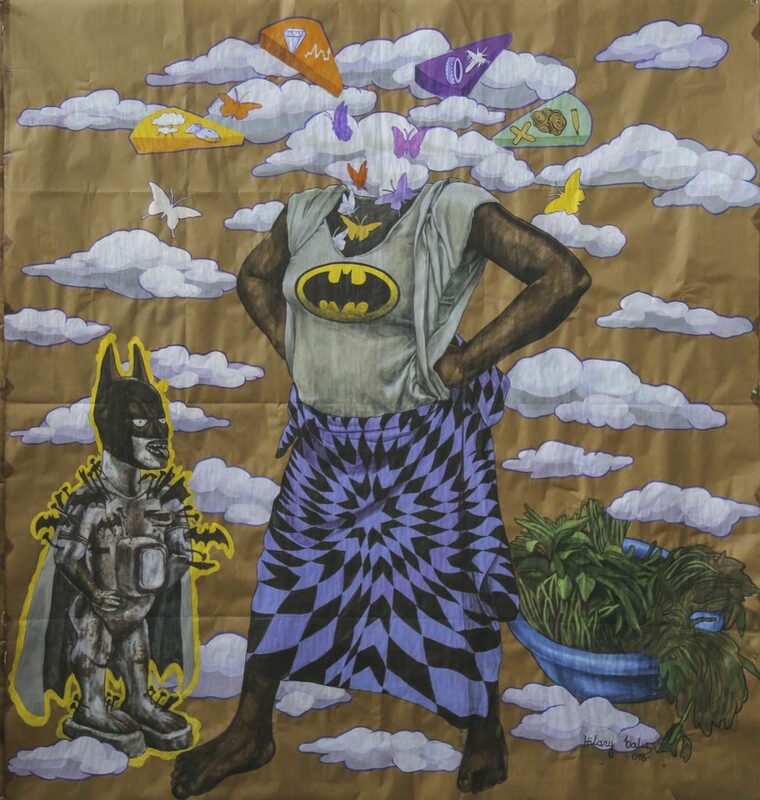 My artistic approach is particularly interested in cultural mobility as an evolving cycle of our society,” Balu say. Balu’s work has been presented in various exhibitions such as “Kinshasa 2050” organized by the French Institute of Kinshasa, “Congo Star” in Austria at the Graz Museum, “Kinshasa Urban Chronicles” in France at the MIAM Museum in Sète, and “Young Congo” at Kin Art Studio in Kinshasa. During his residency in Johannesburg in 2018, the Wits Art Museum (WAM) acquired artworks for the collection and his solo exhibition entitled “Old Gods, New Enigmas” was organized by the Wits University Department of Art History.